If you are new to a ketogenic diet, you may be missing the foods that you are used to eating. We grew up with the convenience of sandwiches and grabbing a sandwich is always an easy and quick meal. When we change our lifestyles, we need to move past this initial instinct to grab a sandwich and start to reach for the healthier options. Or if you prefer to check it out in your own time, download the PDF at the bottom of this page and study it at your leisure. If you would like a reminder of what constitutes a ketogenic or LCHF diet then check out our keto checklist or if you need help with your shopping, check out our ketogenic diet foods shopping list. You can still enjoy a succulent burger, just change the bun to one of these delicious covers. Save 18 plus grams of carbs per 2 slices of bread and 21 grams for each bun. To enjoy a healthy taco or wrap replace the wheat shells and wraps with any green leaf or make delicious cauliflower wraps. Save 23 to 43 grams of carbs in traditional tacos, wraps and tortillas. Missing your Pasta? Then try vegetable noodles. You may like them more than you think. If however you want the feel and texture of "real" pasta, then try shirataki noodles. They are high in fiber and protein with zero net carbs. Kelp noodles are also a delicious alternative. Save 37.3 grams of carbs for each 1 cup of pasta. 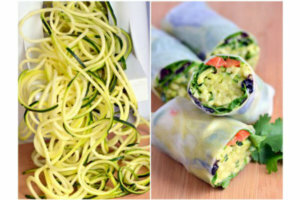 ​Don't have a spiralizer yet? Then check out our favorite one here. Save 21 grams of carbs by replacing just 2 noodles. Save on average 18 grams of carbs per ½ cup. Save about 40 grams of carbs in ½ cup of white flour. Save 23 grams of carbs per half a cup. Save a minimum of 16 grams per 2 slices of crust. Sushi without rice can be delicious. Why not try these options without rice or replace the rice with cauliflower? Save 26 or more grams of carbs in each roll. On the standard America diet, breakfast is probably our least healthy meal. Many of the standard choices are laden with sugar and consist mostly of heavy carbs. Breakfasts like these are guaranteed to have you starving by mid morning. To change this, you will have to make eggs your friend. Here are some healthier breakfast ideas for you. Breakfast sandwiches wrapped in a firm omelet instead of English muffin, bagels or breads and stuffed with bacon, sausage, cheese etc. Save 25 plus grams of carbs over cereals and other breakfast grains. Make ketchup with crushed fresh tomatoes and save more than 4 gram of sugar per table spoon. Save a minimum of 56 grams of carbs in a 1 cup serving. Wash and thoroughly dry veg, cut into pieces, drizzle with olive oil and sprinkle with seasoning salt, garlic, or Parmesan cheese. Bake at 350 F until edges are brown but not burnt normally 10 to 15 minutes. Toss green beans in olive oil in a large bowl, add salt, and optional garlic, Parmesan cheese or paprika and toss to coat. Place on parchment lined baking sheet and bake at 375 F for 10 to 15 minutes or until crispy. Place small piles of shaved Parmesan on a non-stick pan, and fry until melted and chew, or longer for extra crisp. Cut into 1 by 1 squares, place on parchment paper and microwave for 60 seconds or until crispy. Microwave on paper towels until crispy. These alternative croutons give the same crunch, but without the carbs. Save 15 grams of carbs per ounce. Save 25 plus grams per fruit. 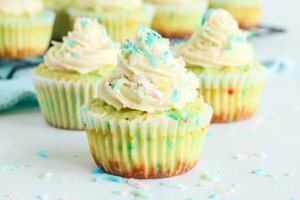 It is best not to have dessert, but there is no reason not to indulge in these delicious desserts especially if your main meal has a little less fat than what is ideal. Milk is packed with natural sugar, which result in milk having a high carb count. Save 13 grams of carbs per cup. Sodas are laden with high fructose corn syrup and should really be avoided at all cost. Save 39 grams of pure sugar carbs in a 12-ounce serving. Save a minimum of 39 grams of carbs per drink. 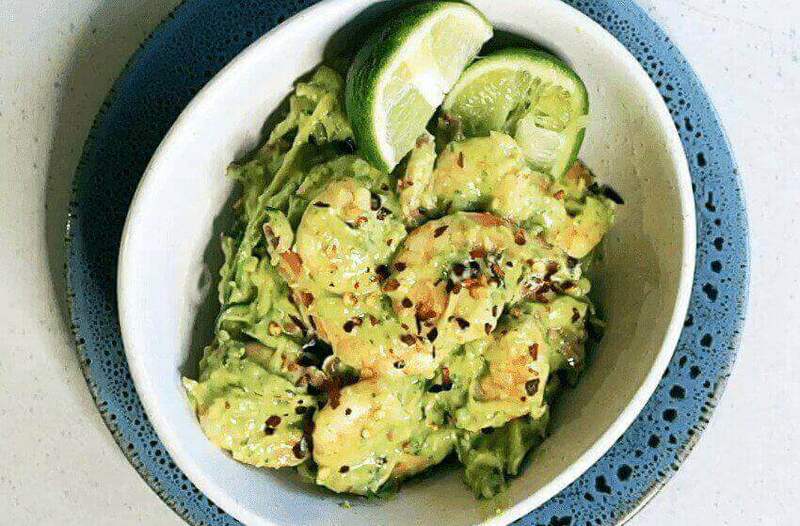 Check out our recipe page here, for recipe ideas and if you are looking for a step by step plan to get into ketosis, then check out our 4 Steps to get into Ketosis.